Late in 2006, I was watching John Atkinson set up a pair of DPA cardioid microphones in front of the stage of New York City's Otto's Shrunken Head to record a performance of my jazz quartet, Attention Screen (footnote 1). Before the first set, Wes Phillips approached me. 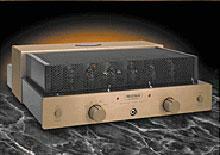 "Bob, I found a piece of equipment you must review—the Cayin A-50T integrated amp. It's only 1300 bucks and you'll love it!" My first one-piece stereo—I think I paid $60 for it, including a pair of speakers with pegboard backs—gave me a lot of pleasure when I was young, and I loved it. Everything that came after has been better in every way but one: None has inspired that kind of love. And most have left me wondering if there might be something just a little bit better. Although she'll deny it, my wife thinks ill of me because I've failed to buy her a new Mini Cooper. I can point to a number of things in my defense—especially the Mini's lack of all-wheel drive, which we need for climbing our quarter-mile driveway in bad weather, and its insufficient cargo and passenger space—all of which would constrain a Dudley-owned Mini Cooper to recreational use only. And a new round of car payments would be difficult to justify for those reasons: not because I'm cheap, and not because I'm too old to appreciate a car that's fun to drive. "We've tried making it more powerful. When I was away on holiday, some of our people cooked up a more powerful version and presented it to me on my return. It sounded awful." Obviously, no one wants to listen to exaggerated bass, italicized highs, or colored mids. 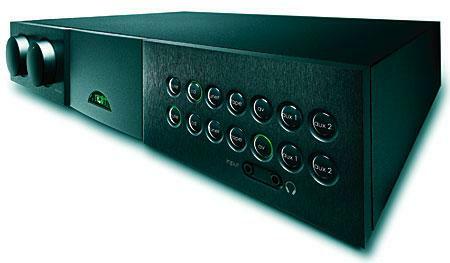 But if you (as I have in the past few months) plug in several high-quality integrated amplifiers, each designed to a different price point, into the same basic signal chain, you'll experience a wide disparity of sound signatures. Specialization seems to be an inevitable consequence of progress: As the products of man and God become more and more complex, they're called on to do fewer things in more focused ways. Ars-Sonum is a Spanish audio company that, as far as I can tell, makes only one product—but it's a doozy (footnote 1). 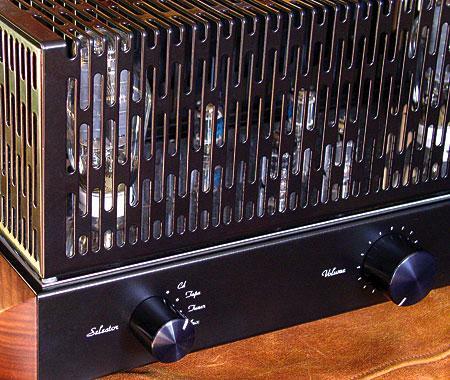 The Filarmonía SE is a tube integrated amplifier that is, in many ways, an homage to Dynaco's iconic Stereo 70 power amplifier of 1959, but the Filarmonía is by no means a slavish copy. Get down to specifics, and it's actually more of a clean-sheet-of-paper design. 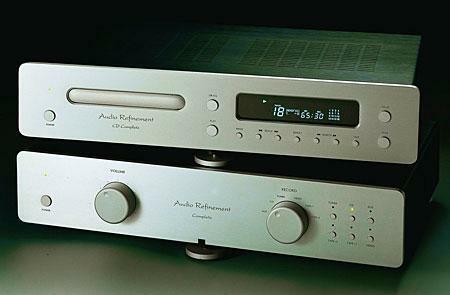 "Onkyo Returns to its Stereo Roots to Debut New Digital Amplifier Technology." This heading of the press release for Onkyo's A-9555 digital integrated amplifier was surely intended to warm the cockles of the two-channel audiophile's heart. 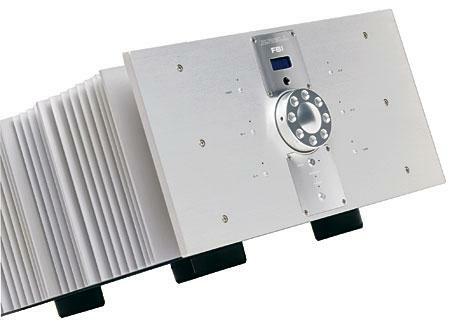 Some of us remember the Onkyo Grand Integra amplifiers of the 1980s, which were considered competitive with the big Krells and Mark Levinsons of the day. To refresh my memory, I looked through my Stereophile archives and found the December 1985 issue (Vol.8 No.8), which included Larry Greenhill's review of the Grand Integra M-510, a 300Wpc power amplifier covered in lacquered persimmon wood, weighing 139 lbs, and costing $4200 (about $8000 in 2007 dollars). 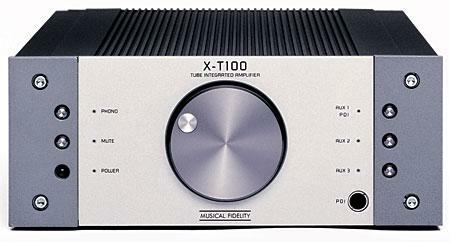 Larry was most impressed with the M-510, describing it as "a very powerful amplifier with outstanding sonics across the board—power with delicacy." 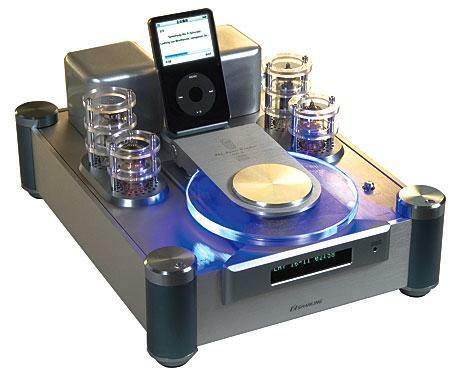 There's something a bit oddball about the notion of a $16,500 integrated amplifier—until you stop to consider that the market is fairly drenched with preamps and power amps that, together, cost that much and more. And putting both pre- and power amp in a single chassis cuts down on storage (one less shelf), accessories (one less pair of cable), and electrical outlets (one socket freed up). I was the member of the family on whom the others could depend for technical assistance: mending eyeglass frames, fixing the radio, replacing the lightbulb in the oven, getting the car to idle smoothly. No job too big or too small. House calls a specialty. I hate all those automobile reviews that go on and on about a car's design aesthetics. C'mon, I can see what it looks like, even if only in the pictures. Just tell me things I can't appreciate without a run on the Autobahn. 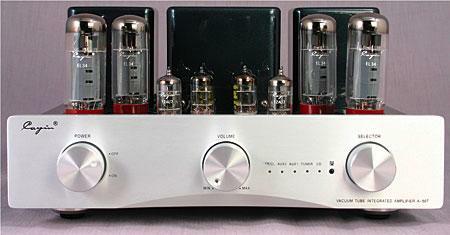 Over the years, I have used and enjoyed in my audio system large, single-purpose components. 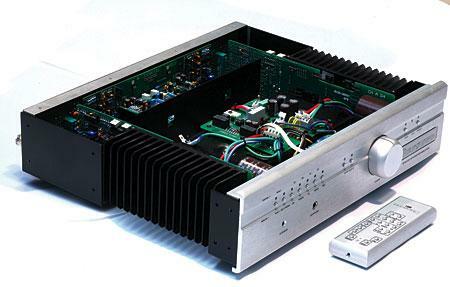 Each of these chassis has had but one role: preamplifier, amplifier, digital-to-audio converter (DAC), etc. I guess I've been just a little suspicious of products with multiple functions crammed into a single small chassis; I've figured that the designer may have cut a corner that could affect the sound.